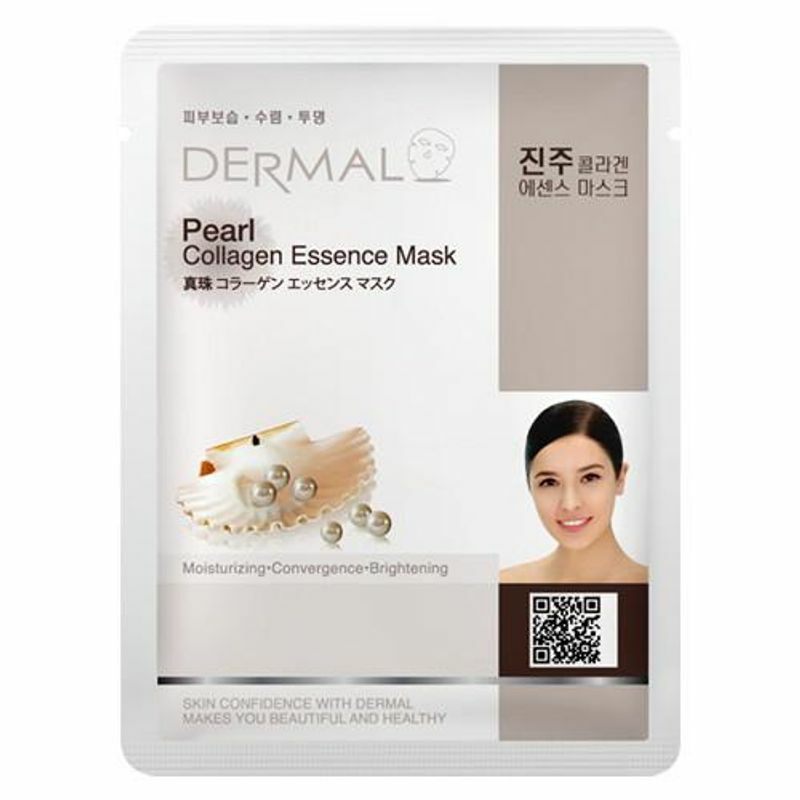 Enhance your complexion using the Dermal Pearl Collagen Essence Mask. With skin refining ingredients like Pearl powder, Vitamin E, Collagen and various mineral ingredients, it rejuvenates, brightens and hydrates skin. It helps protect the skin, leaving it feeling soft, smooth and healthy-looking. Pearl powder known to be powerful anti-oxidant contains more than 20 minerals and it helps to keep skin always clean and soft. The sheet mask helps protect skin from the effect of environmental damage and leaves skin feeling soft, smooth and refreshed.